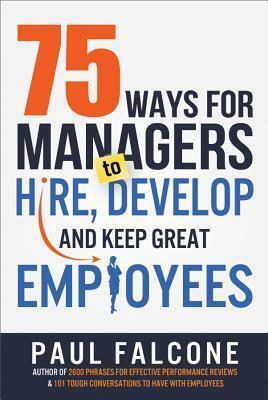 “75 Ways for Managers to Hire, Develop and Keep Great Employees” by Paul Falcone (AMACOM, $21.95). Recent studies show the cost of employee turnover ranges from $6,000 for entry-level employees to upwards of $50,000 for mid-level managers. Why so high? The time taken to hire and train a new employee takes many people away from their regular tasks and routines. Falcone offers a template for reducing turnover and increasing productivity. 1. “Establishing your brand.” The greater your brand recognition, the more likely candidates will see you as an “employer of choice.” While businesses routinely search social media for information on applicants, they forget that applicants will search social media and the firm’s website for information. Your social media presence pre-sells candidates. Poorly organized and outdated information sends the wrong message. Make your online information “mobile-friendly” because smartphones and tablets offer ready access to information. When you’ve selected interview candidates, email them a recruitment brochure. It should contain information about the firm’s history and goals, the hiring process and benefits. Your current employees figure in the process, too; posting videos of them discussing their jobs on your website’s career page or YouTube help candidates understand how the company does business. 11. “Effective onboarding to maximize the chances of initial success and create true believers.” Your sales process doesn’t end upon acceptance of an offer. On the new hire’s first day, she/he doesn’t know anybody, doesn’t know departmental functions and protocol and job priorities. Assign an onboarding mentor (i.e. a top performer) from the new hire’s department to show them the ins and outs of why, what and how. This go-to person also provides a new hire with “people” information — the roles of the players, their personalities and penchants. The manager should meet with the newbie 30, 60 and 90 days after hire to complete the process. These meetings aren’t performance appraisals. They’re about finding out how the person has acclimated. Falcone provides a number of “acclimation” questions. 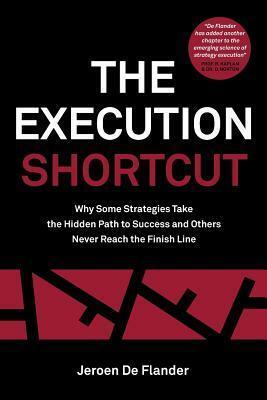 “The Execution Shortcut: Why Some Strategies Take the Hidden Path to Success and Others Never Reach the Finish Line” by Jeroen De Flander (The Performance Factory, $19.95). The path to success hides within the people charged with execution. Human behavior, when not synced with the “Big Choice,” trumps the best plans. De Flander uses a “Head, Heart and Hands” process to connect human dynamics to execution. When management provides conflicting (and often competing) messages, strategy fails. Example: A manager tells a call center rep, “Your performance is based upon customer satisfaction ratings and call volume.” How can the rep effectively solve customers’ problems when told that call volume must increase? Heart – People have to relate (i.e. buy in) to the “Big Choice.” This involves getting them to see the importance of their roles in execution. When you want to drive home a point, use stories not charts and graphs. Stories talk about what must be done – and why. They energize actions. And since the devil is in the details, seek “big commitments on small things.” Their daily choices help or hinder execution. Celebrate small victories to keep their batteries charged. Hands – “Complexity is the CO2 of the modern business world.” Consider “CO2mplexity” as the silent killer of execution. It’s sneaky, too. Remember the story of the frog in cold water that was slowly brought to a boil? The frog doesn’t recognize peril until it’s too late. In business, it kills ideas and energy. Look at the long-term impact of new layers of decision-making and procedures before implementation. The bottom line: When you leave those affected out of plan construction, you’re taking the path to failure.